There's no debating that 2009 was a banner year for iPhone news including Apple's launch of iPhone 3GS and witnessing the App Store surpassing over 100,000 apps in circulation. It was interesting and mostly mind-numbing to look back and see what were the most popular stories iPhone faithful were reading here at this highly dysfunctional web destination you all know as the iPhone Savior. We offer our warmest thanks and appreciation to all of you for being part of our 2009 cast of readers and hope you'll find the work of our cracked team of iPhone news hounds worthy to revisit in 2010. I now present to you our almost epic list of Top 10 Most Popular Posts of 2009. 1. iPhone Developer Quits Day Job After 'iShoot' Hits Number One - In January of 2009 developer Etan Nicholas, creator of iShoot, announced he was quitting his day job at Sun Microsystems to develop iPhone apps full time. In a few short months Nicholas hauled in $600 thousand dollars from iShoot as one of the first big winners in the iPhone app gold rush. 2. An iPhone App That Can Light Up Your Tree - In the "12 Apps of Christmas" holiday iPhone Ad, Apple promoted Schlage Link as "an app that can light up the tree". It became one of the hottest Google searches overnight. We received hundreds of hits each time that ad aired in the US and the UK. A huge post! On January 7, 2002 Steve Jobs introduced a beautifully redesigned iMac loaded with an 800 MHz PowerPC 7445 (G4) processor and 15" Flat Panel LCD screen. The new iMac was nicknamed the "iLamp, since Apple advertised it as having the flexibility of a desk lamp. Almost eight years since the official launch, our old friend iMac has actually been reimagined as a proper desk lamp. Because old macs never really die... they just continue on as works of art. Designer Randall 180 has three of these clever creations for sale on Etsy. Expect to pay $75 each plus $20 dollars for shipping. It's the coolest way to light up your life like it's 2002. Of course we've included the Pixar animated "iMac G4 Dance" advert below for old time's sake. Enjoy! Clayton Morris at Fox News has gone on record to confirm that Apple is indeed planning to hold a special media event in January as reported by the Financial Times last week. 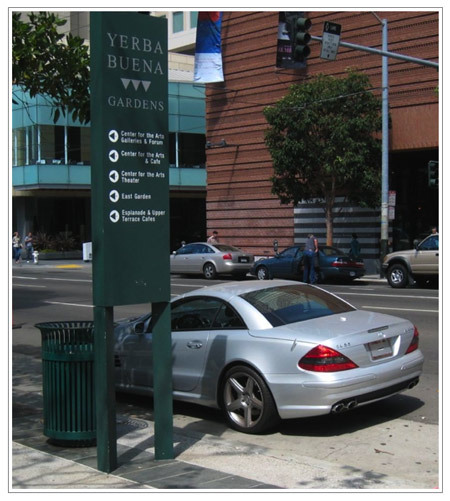 The event, expected to be held at the Yerba Buena Center will "focus on the mobility space" according to Morris. Apple has reportedly booked out the stage at San Francisco's Yerba Buena Center for a January 26th hoopla, widely anticipated to be used in part to unveil their rumored iSlate tablet device which we are all so anxiously awaiting. I certainly hope that this round of Mac tablet rumors turns out to be true. "Could this be the announcement of the mythical Apple tablet we've been hearing so much about? I've already picked it as my favorite gadget of 2009, even though the tablet doesn't officially exist yet." Clayton Morris writes. Who doesn't want to scroll through dozens of sweet and adorable puppy photos on their iPhone? Rate My Puppy allows users to upload their cutest puppy picks for a community of dog lovers to vote on using a five star rating system. 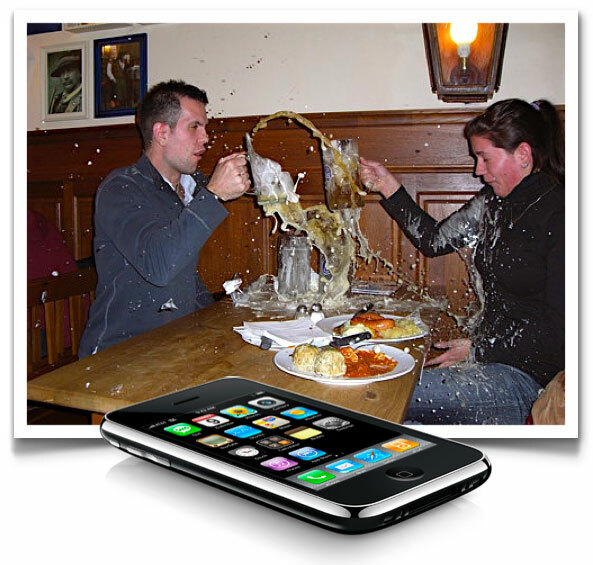 It's like having an interactive "Best In Show" right on your iPhone. Some of the up close and personal puppy pics on this app definitely qualify as cute overload, with the occasional spread eagle puppy shot showing up for no good reason at all. I expect that Rate My Puppy will spawn several other wildly popular apps like Rate My Kitten and eventually Rate My Ferret. Since Rate My Puppy has just been launched, it will take some time for new photos to populate the app. Even though each photo upload is screened before it's deemed appropriate, it took roughly fifteen minutes for two of my own pups to be added into the mix. Which left me instantly sitting in a puddle of happy juice. 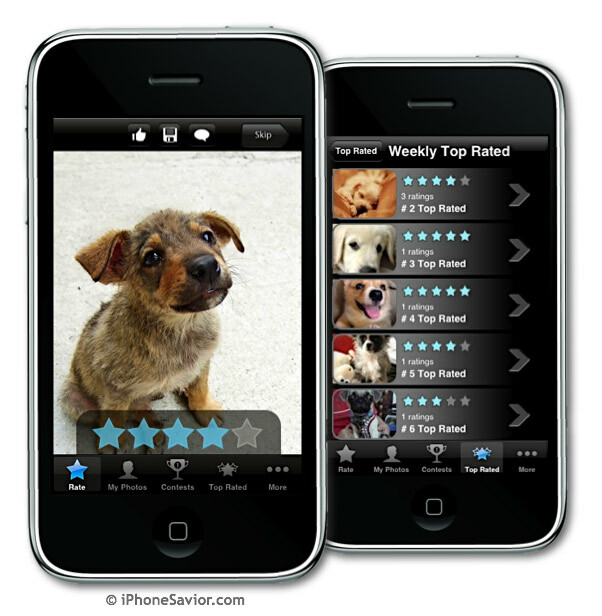 Rate My Puppy is a certified wholesome, kid friendly, heart melter that just may be the last great iPhone app of 2009. Even if it's not, you should grab this endless stream of pure joy just so you can shout "who let the dogs out?!". This free app is an instant winner. 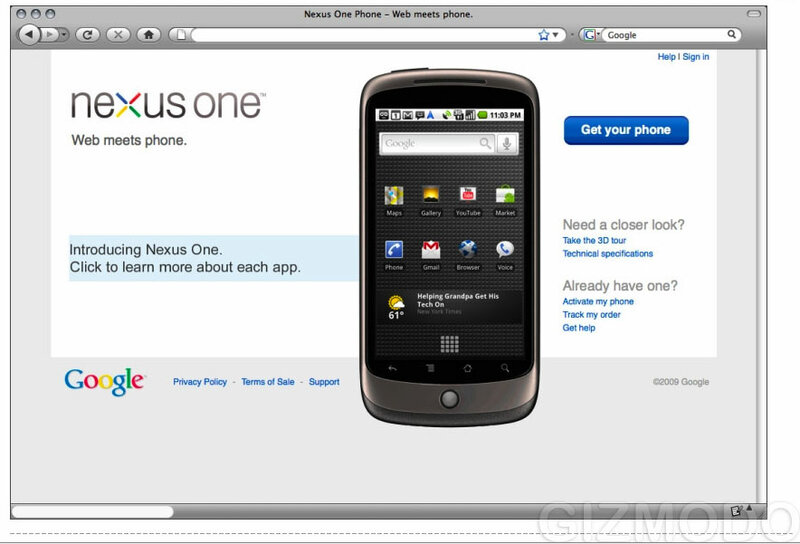 Leaked screenshots exposing Google's Nexus One phone reveals that the wildly anticipated Android powered device will be sold unlocked, direct from Google for the unsubsidized price of $530 USD. The subsidized price will run $180 when purchased in tandem with a mandatory 2 year contract with T-Mobile, according to Gizmodo.com. The HTC manufactured phone will retain the name "Nexus One" rather than being called by the nickname, Google Phone. AT&T's recent iPhone disaster in New York is only slightly more tolerable as a comic strip. Still the tragic comedy continues with AT&T's chokehold on iPhone users held hostage in New York City by service that blows. "All the big media companies are in New York. All of these guys use iPhones. So they all know, and have known for a long time, how bad AT&T’s service is in New York. Yet they’ve said nothing." Fake Steve Jobs writes. STYLE GUIDE: The idea of designing and customizing your own iPhone case is finally possible through an uncommon team of wild creatives that are out to rule the world. The highly lucrative world of mobile phone cases that is. Uncommon.com has brought together an impressive community of original artists and designers that have uploaded their work for anyone to size and order, creating a destination for the first truly customizable iPhone case. In fact, if you sign up and join the Uncommon alliance, you can instantly upload your own photos and artwork to create a one-of-a-kind case design in just a few minutes. If your designs sell you get a 5-percent share on the sale. "Uncommon uses an exclusive 3D TATT™ (Thermo-Active Transdermal Technology) printing process that transfers the ink deep into the case’s surface creating the only one-of-a-kind protective cases on the planet." NSFW: One of fastest ways to get your "Switch to Mac" blog on the radar with a bazillion superior Mac worshipping mega-geeks, is to unleash an epic fanboy anthem of ginormous magnitude. The Pantless Knights have done just that by creating a shameless Mac parody video cut to The Lonely Island's song "I'm On A Boat". Several important highlights from this m-effing, fist pumping, retard extravaganza include, flying through space on a jet-propelled iPhone, authentic Steve Jobs costumes and a Steve Wozniak cameo while riding an iPod nano watercraft. NAILED IT!! Thanks to Devin for the tip! According to new numbers released by eBay, shoppers purchased 1.5 million eBay items through either the eBay mobile website or the company’s iPhone application during this holiday season. The number represents three times the amount eBay sold during the same period last year. An impressive number by any standard of measurement. The free eBay iPhone app which originally launched on July, 2007 has been downloaded close to 6 million times by users anxious to part with their goods or hard earned cash depending on which side of the auction process their on. Some big transactions concluded via mobile phones, include a $75,000 purchase of a 1966 Chevrolet Corvette, a boat for $19,000, and a Steinway grand piano for $10,000 dollars. "I use my eBay iPhone app constantly," said eBay gold Power Seller Michael Long. "It's way quicker than logging into eBay on Safari. I check the status of what I'm selling several times a day through the app." Mr. Long told the iPhone Savior that he has easily sold close $200,000 in vintage European sports cars and parts through eBay for his Fast Cars of California business in 2009. Michael admitted that he relies heavily on his iPhone app connection to eBay on a daily basis. At the end of November, eBay added another free app eBay Deals [iTunes Link] to their iPhone arsenal. eBay Deals is designed to deliver a steady stream of the best deals or big demand items on the site from across hundreds of millions of listings direct to users via iPhone. Overall, eBay reports that mobile transactions have quickly added up to half a billion dollars in 2009. Their mobile site gets some 750,000 unique visits per day. The JibJab 2009 Year In Review Video is Brilliant! JibJab has released their annual Year In Review video for 2009. The hysterical Jab-meisters take huge hammer swings at Octomom, Balloon Boy, John and Kate and even Obama's confusing Nobel Prize win. The Michael Jackson tribute was a pure angelic tribute to the King of Pop until the Cherub babies showed up. I was a tad disappointed that Tiger Woods and Kanye West were not beaten up as much as they deserved, but the dynamic duo made up for that one by featuring Carrie Prejean mounting and riding California like it's a wild bull. Nice touch!